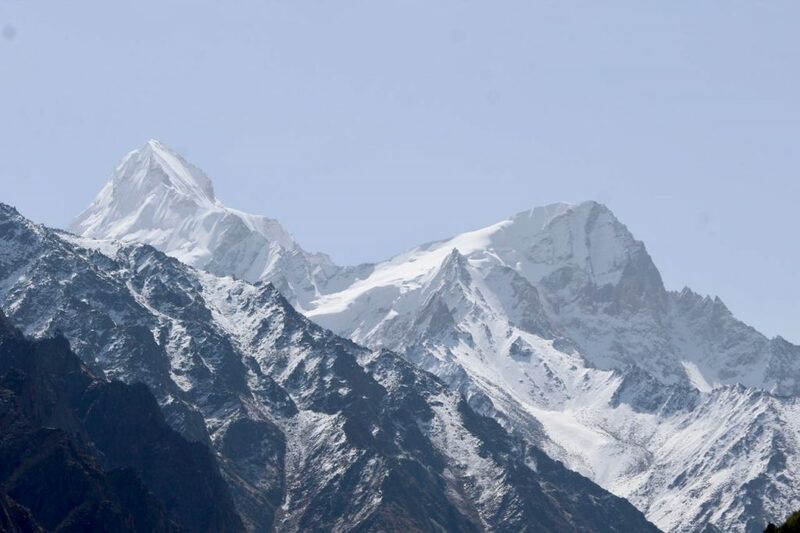 Gomukh or Gaumukh is actually the end point (or if you view from another angle, the starting point ) of the Gangotri Glacier, from where the Bhagirathi river has its birth. The Bhagirathi is one of the main streams that later merge into the Alaknanda river at Devprayag in Uttarakhand It gives rise to the river we all call by the name Ganga or Ganges. Gaumukh literally means “cow’s face”, essentially depicting the shape of the snout. However, the snout is no longer in that shape now. Gomukh is located inside the Gangotri National Park and is accessible only by foot (trek). The starting point of the trek is from Gangotri, so one has to reach Gangotri first. 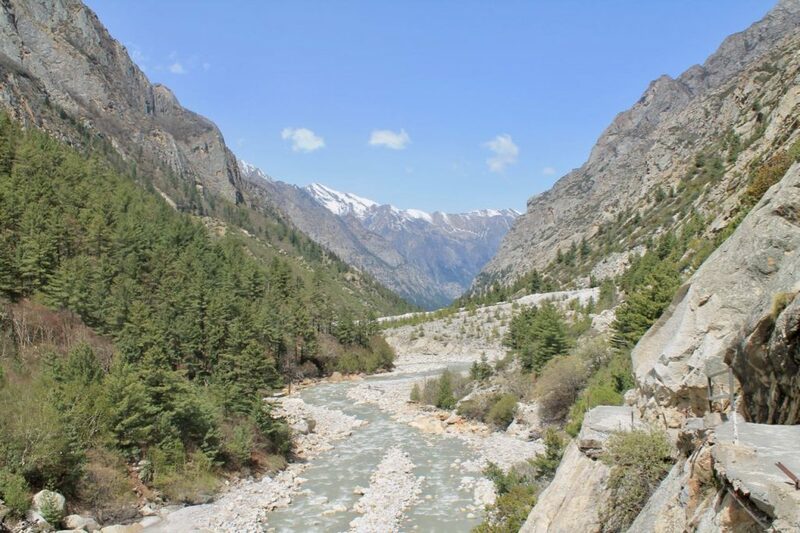 The entire route from Gangotri to Gaumukh is filled with natural beauty. The Bhagirathi river will keep you company until the end. That apart, one can see many snow clad mountains, including the Bhagirathi group and Mount Shivling and a host of other peaks. For those into wildlife, you can spot ‘Bharals’ or the blue sheep on the route. And then you have vegetation that gets sparse as you ascend, giving you a feeling of being in Ladakh. In today’s article, I am going to share with you the details about making a trip to Gaumukh and finish this comprehensive Gaumukh Travel Guide with my next part that will talk about remaining sections of the Gaumukh trek. 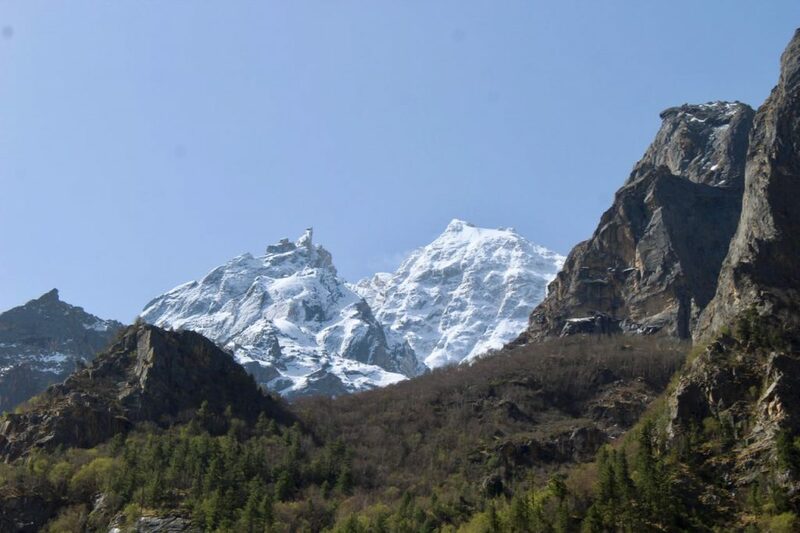 Hence, this two-part series of articles will help you know all about traveling to Gangotri and doing the trek to Gaumukh from Gangotri. Since it was Bagiratha who brought Ganga to the earth, the river is called Bhagirathi. Note that only after the confluence of Alakananda with Bhagirathi at Devprayag, the river is called as the Ganga, that we know about as great rivers of the India. Gaumukh is located in the Uttarkashi district of Garhwal, Uttarakhand. Gaumukh is around 18 KMs from Gangotri and about 45 KMs from Harsil. Gaumukh is located at an altitude of 4000 Mtrs (13120 feet) and the base point Gangotri is at about 3415m (11200 ft). 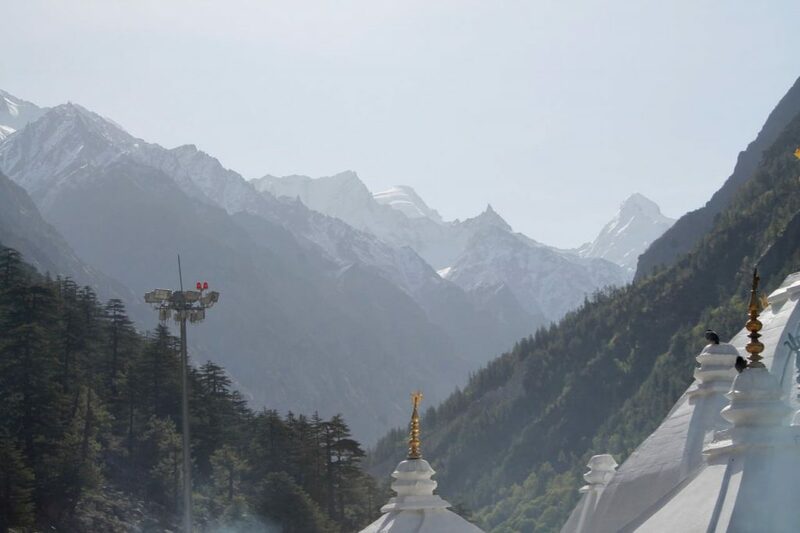 Gangotri Dham is one of the Char Dhams of Uttarakhand and I will share detailed travel guides for both Harsil and Gangotri in next few articles. During winters, due to a large amount of snow, it would not be possible to reach Gaumukh, and even the entry into the national park may be prohibited. The best season to travel or trek to Gaumukh is from May to October. This season also coincides with the Char Dham yatra season as well. You can pull off the trek to Gaumukh in the shoulder months too but not with much ease. However, during July to mid-August, due to the monsoons and heavy rainfall, it really wouldn’t make sense to make a trip or trek to Gaumukh. May-June and Sep-Oct are the best months for traveling or trekking to Gaumukh. You can reach all the way up to Gaumukh by trekking only but I will cover how you can first reach up to Gangotri and then further plan your remaining journey to Gaumukh. If driving from Delhi, one can take the route via Meerut – Roorkee – Haridwar – Rishikesh – Narendranagar – Chamba – Dharasu Bend – Uttarkashi – Gangnani – Harsil – Gangotri. The total distance would be around 480 KMs from Delhi, approx. 250 KMs from Rishikesh and approx. 90 KMs from Uttarkashi. One can also take the route from Delhi via Saharanpur – Dehradun – Mussoorie – Suwakholi – Dharasu Bend and then on to Uttarkashi – Gangnani – Harsil and Gangotri. The distance from Delhi is almost same with a difference of about 10-15 KMs. 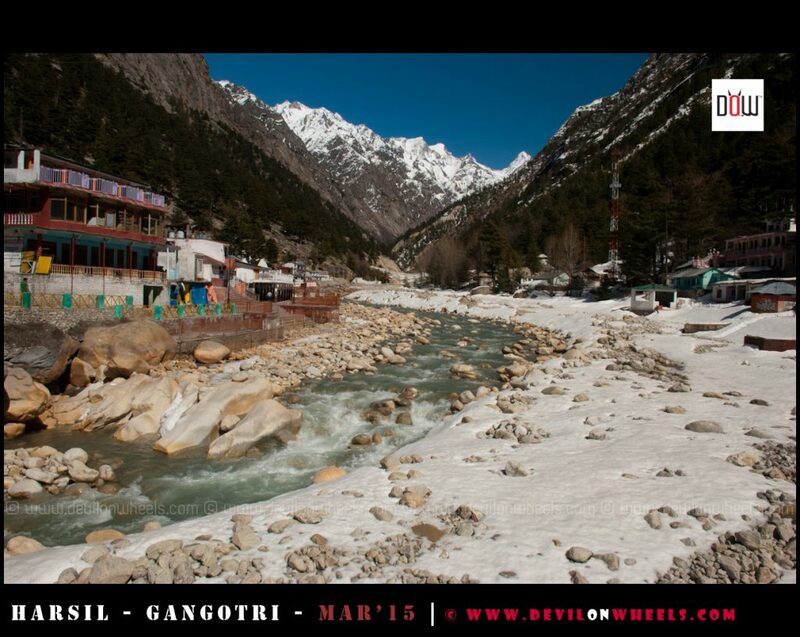 On this route, Gangotri is about 225 KMs from Dehradun. 1. From Haridwar and Rishikesh, there are two direct buses that run to Gangotri, but only during yatra season. The buses leave early mornings only. The bus from Haridwar leaves by 5:30 am. The buses from Rishikesh leaves around 5:30 am and 7:30 am. Seats in the Rishikesh bus tend to get filled fast and you can reserve at the counter the previous day. It takes about 6 hrs to reach Uttarkashi from Rishikesh. Please call on 0135-2430344 to check the timings and availability of the buses to Gangotri. 2. One can also get to Dehradun and from Rispana Bridge, there is a shared-taxi stand. From here, shared taxis ply to Uttarkashi, take about 6 hours and cost Rs 300 per head. Taxis will leave only when the entire 10 seats get filled up :D. After reaching Uttarkashi, you can again take a bus or shared cabs as mentioned above in the article. Please call on +91-9012133450 / +91-9412917697 (Doon Garhwal Tracker Jeep Commander Malik Kalyan Sanchalan Samiti) for further details on it. The nearest airport is the Jolly Grant in Dehradun and from there you can either reach Rishikesh or Dehradun and follow the route mentioned above. You can also reach Haridwar / Rishikesh or Dehradun by train, and from there follow the route mentioned above in the article. You need to take a permit from District Forest Officer, Uttarkashi (DFO) in order to trek to Gaumukh. Only 150 people are allowed to go to Gaumukh per day. The permit is a simple process, you just have to fill a form giving your name and address, give copies of your Voter ID or Aadhar card and pay the fee of Rs 150 per person (for foreign citizens, it is Rs 600 per person). One can get the permit on any working day during normal hours from DM office in Uttarkashi and as said, getting a permit for Gaumukh is a trivial process mostly. Permits are also available at the forest office at the beginning of Gangotri, just after the arch at the left side. The timings for this office are 8.00 am to 10.00 am in mornings and 5 pm to 7 pm in evenings, on every day. This office is open on Sunday also and hence, you can get the permit to Gaumukh on Sundays too :). The permits for Gaumukh trek are also available online and you can use the link Gangotri National Park Permits – Gaumukh. You can file the permit online and upload copies of the documents. Please note that you do not need to select any tour operator if you are traveling to Gaumukh only when the Gangotri temple is open. 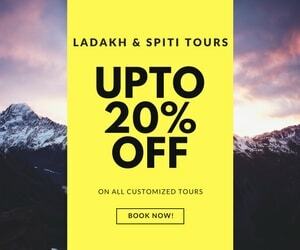 Otherwise in offseason or trekking beyond Gaumukh, then you need to mention the tour operator name. You can pay the fee online for the permit or else you can pay cash also at the counter where you have to show your permit during the trek. After filling the application you will get an email stating that your permit is approved, subject to production of original documents at the office. You have to take the print out of the online page and show the same at Uttarkashi DM office. Make sure you don’t land in Uttarkashi on a Saturday / Sunday when the office is closed. In our case, we were in Uttarkashi on a Sunday when the office was closed. So we were told to show this at Gangotri office. When we showed it on Monday morning in Gangotri office, they just asked us to proceed and said print out was sufficient. However, please don’t take chances – in case they refuse to let you in with just the printout, you have to trek back 3 KMs to Gangotri to get the permit. In addition, based on the plastic you are carrying, you will be required to make a fee deposit at the counter where your permit is checked, which will be refunded to you when you return, provided you have brought back the plastic trash with you, such a nice initiative or at least an attempt at it. In Gangotri, you will have both Airtel and BSNL mobiles (both prepaid and postpaid) working. You will have signals working for about 1 KM after you cross Gangotri. Beyond that, there are no mobile signals at all. Even at Bhojbasa, there is no mobile connectivity including BSNL. Hence, enjoy the nature while being disconnected with rest of the world in the lap of the Himalayas. Please bring all your waste material back from Gaumukh trek and be a responsible traveler. I hope you read the DoW tips on Responsible Travel in the Himalayas. Normal sports shoes are enough to do this trek but ankle high hiking shoes or trekking shoes always help in protecting your ankles from twists or injuries. In case of snow, you should prefer trekking shoes with snow gaiters. Always carry at least one light woolen jacket or light woolens even if you are planning a trip to Gaumukh in summers. Temperature can easily vary, so always better to be prepared well. Gaumukh is a popular destination for trekking and hiking enthusiasts. Even though the base Gangotri is one of the Char Dhams and lakhs of visitors flock here every season, not everyone treks up to Gaumukh or beyond. The trail to Gaumukh is well laid out and it is not madness out there on the trail, unlike Kedarnath where on the trail to Kedarnath, with so many people visiting it, its complete madness and you hardly have space to walk. You will surely get to spend some quality time alone on your trek to Gaumukh as you are surrounded by the Himalayas all around and you can feel very peaceful. Commercialisation has not hit the trail primarily due to the permit regime and hence, it is one of the best places to hike or trek if you have just started trekking in the Himalayas. If you like the article, please feel free to share it with any of your family or friends who are planning a trip to Gaumukh or Gangotri. In the next article of this two-part series, I am going to talk about details of the Gaumukh trek, where to stay on Gaumukh trek and if you need guides or porters for your trek to Gaumukh. All picture credits goes to Pankaj Kumar and Chethan Prasad and who was kind enough to share these pictures with us in DoW Travel Community Facebook group. Do you want to feature your images in our articles too?? 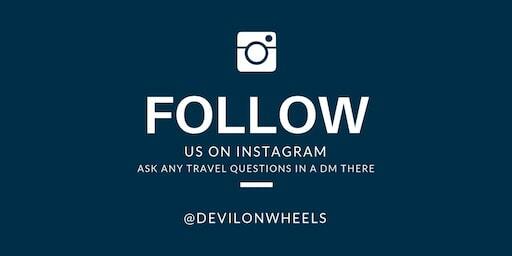 Feel free to join our Facebook group and share your lovely pictures to get featured in DoW articles. Vinod is a key member, moderator and the stalwart of Devil On Wheels team. He is a passionate traveler, and if it is to the Himalayas, his passion increases multifold. An okay-ish photographer, Vinod likes to pen down his travel tales to reminiscence his trips. By qualification, Vinod is a company secretary and a lawyer. 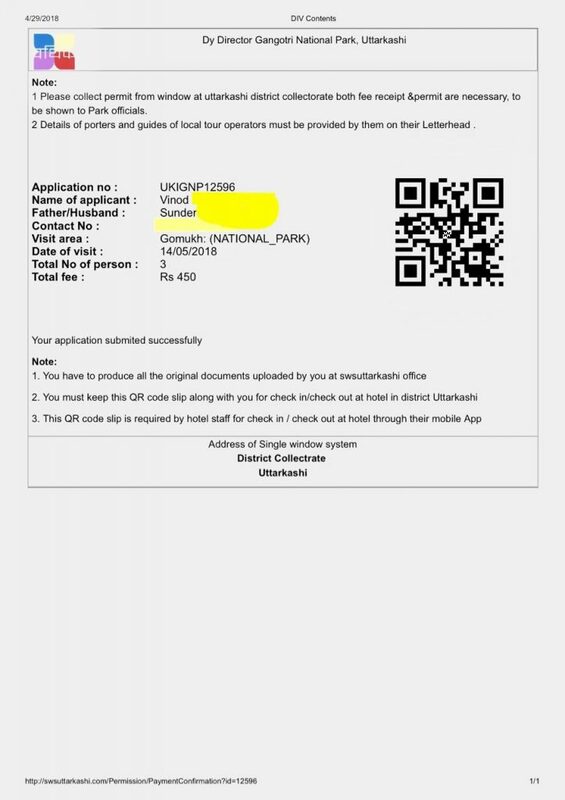 I applied for gaumukh trek permit online and took the printout of the application. However,I didn’t receive any email saying approved. The only email I received is an info email saying “application submitted successfully”. Does it suffice if the prinout is shown?? Please help. When did you submit your application? Usually the approval email comes after about a week.. Print out was sufficient when we went earlier this year. If you don’t get the email and are going via Uttarkashi, do drop into the office to get it confirmed..